The Ganesh is a probability-based hardware sequencer created by Jon Pigrem. 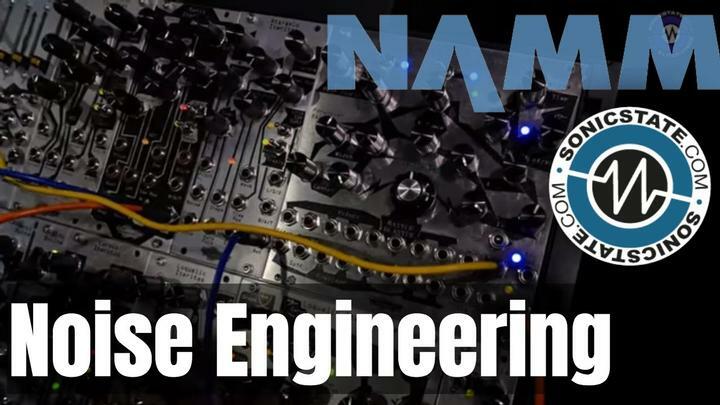 It uses Bela and the Multiplexer Capelet and is built for the Eurorack modular format providing probability-based sequencing for real-time performance. The duel trigger outputs on each channel allow some interesting patching possibilities such as controlling a filter or envelope of a sound with its own (or another) channel’s output. In the video showing the Ganesh in action, the modular system is clocked by a TR808 drum machine which also provides the drum track; the three channels of the sequencer control generative patterns for the keyboard, hi-hat and baseline parts of the arrangement. There are more details on the Bela blog.